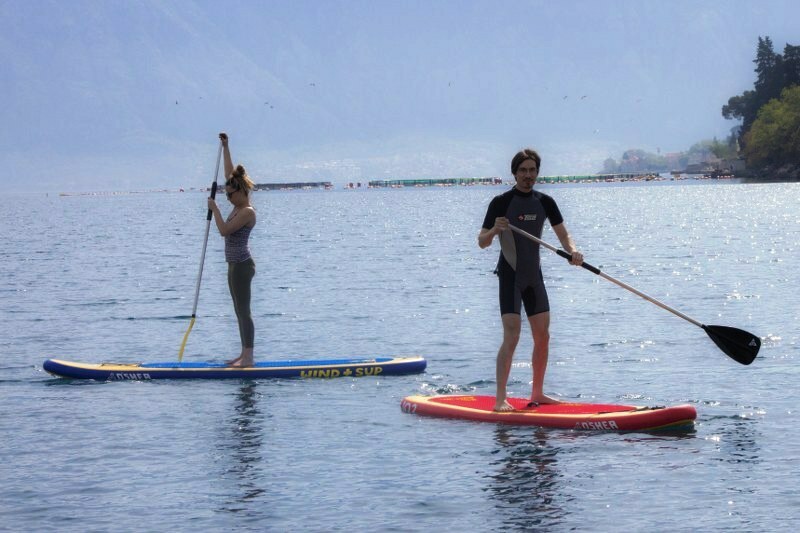 This activity is part of our Surf & Turf tour down by the coast and it is a fun activity for all guest ages. 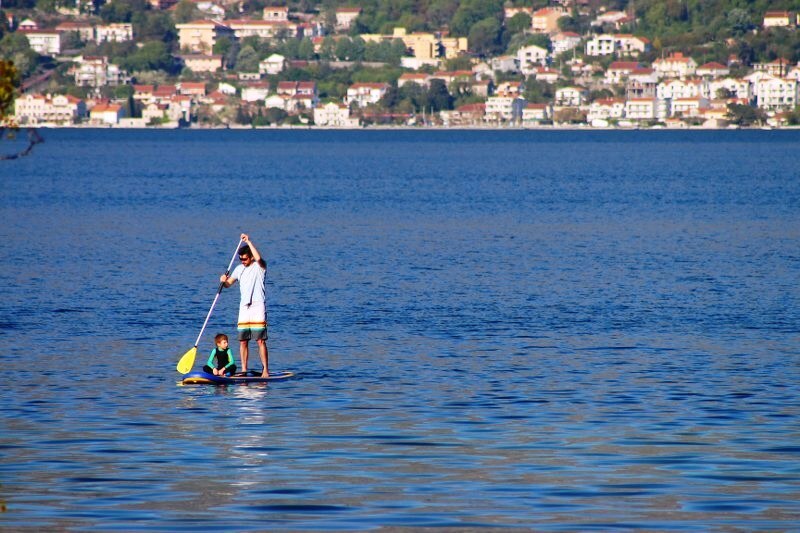 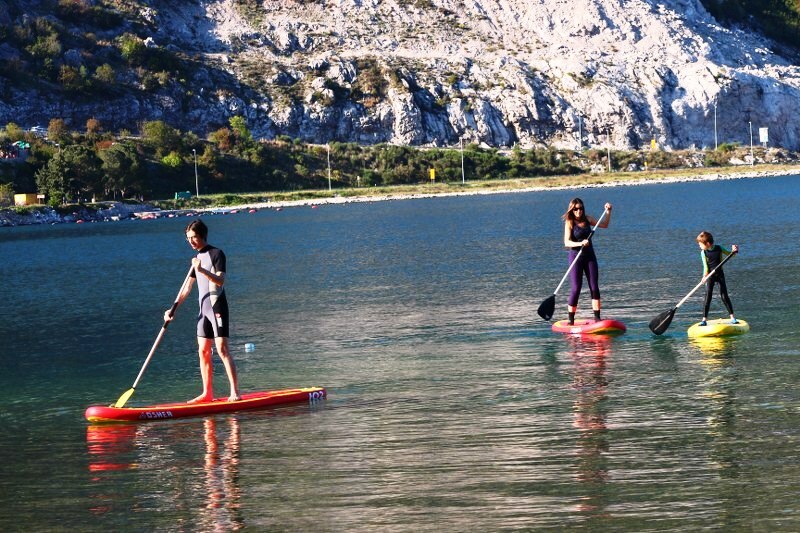 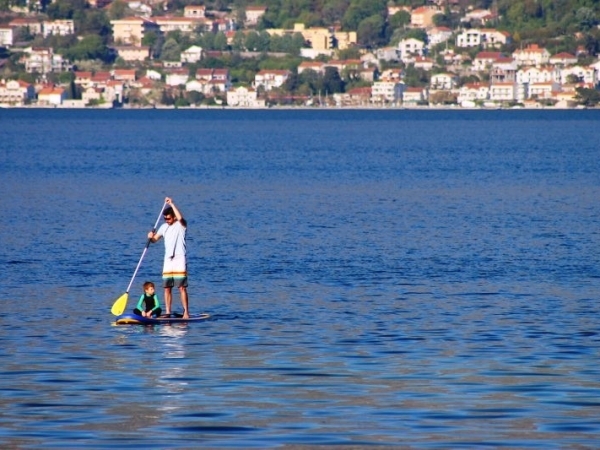 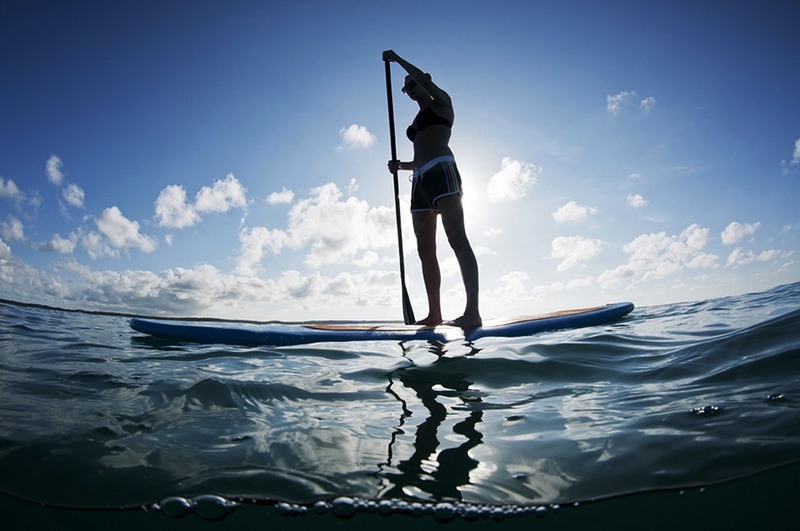 The Paddle Boarding activity is part of our ‘Surf & Turf’ package and is a relaxed and fun activity for our guests. 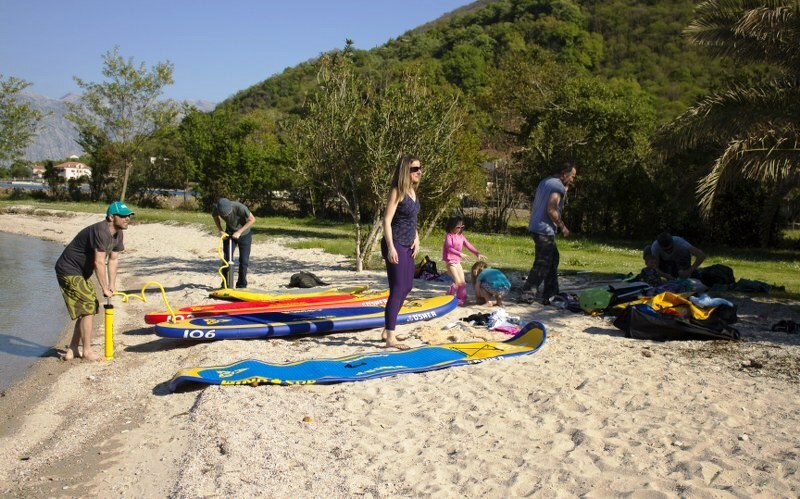 It takes place on the day guests arrive to our coastal house base, after they have enjoyed their welcome lunch meal. 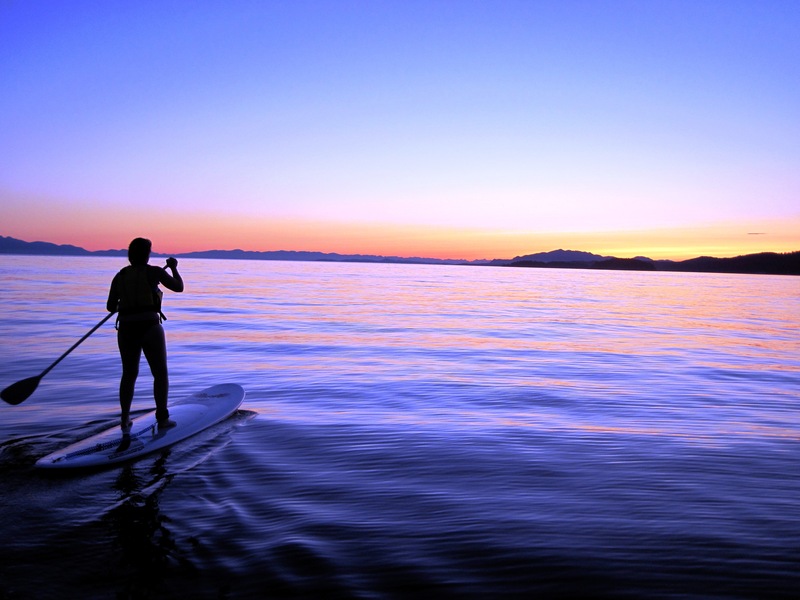 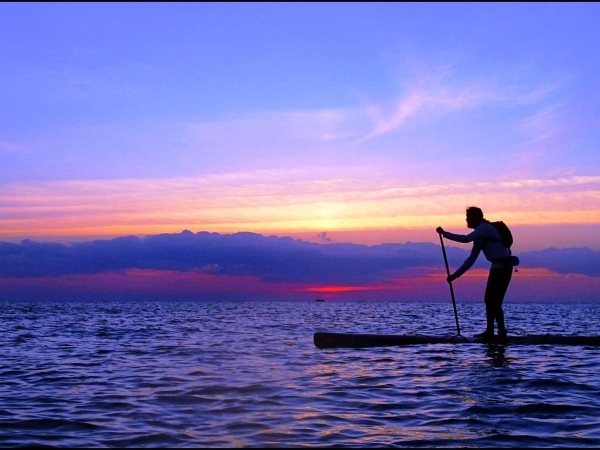 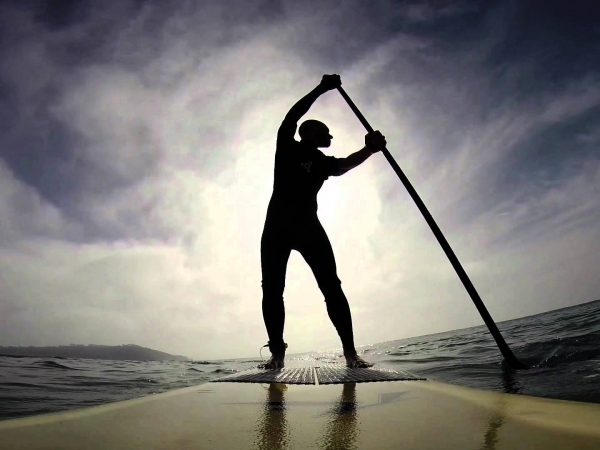 Stand up paddling (SUP) is the fastest growing water sport. 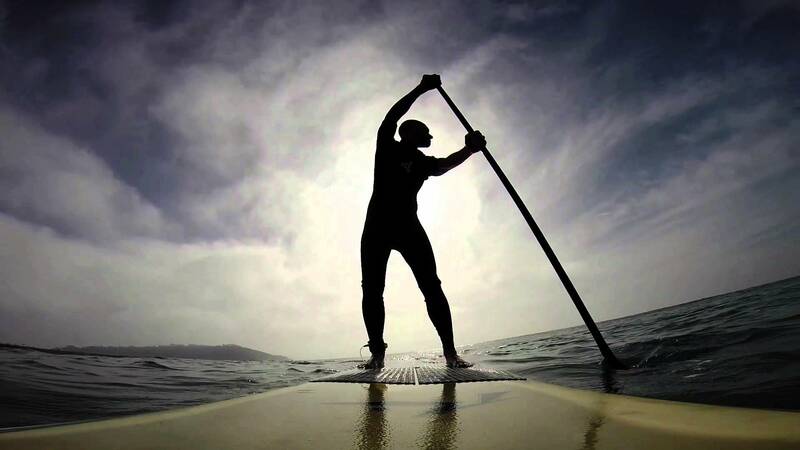 It’s fun, easy to learn, and keeps you fit. 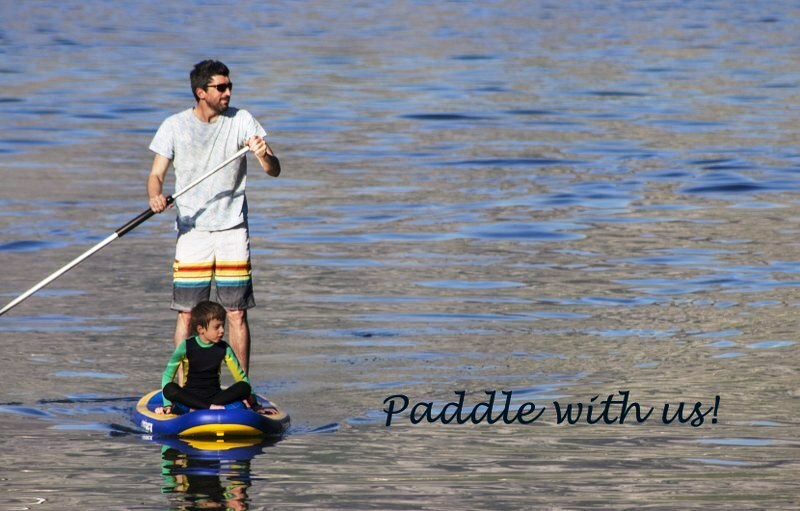 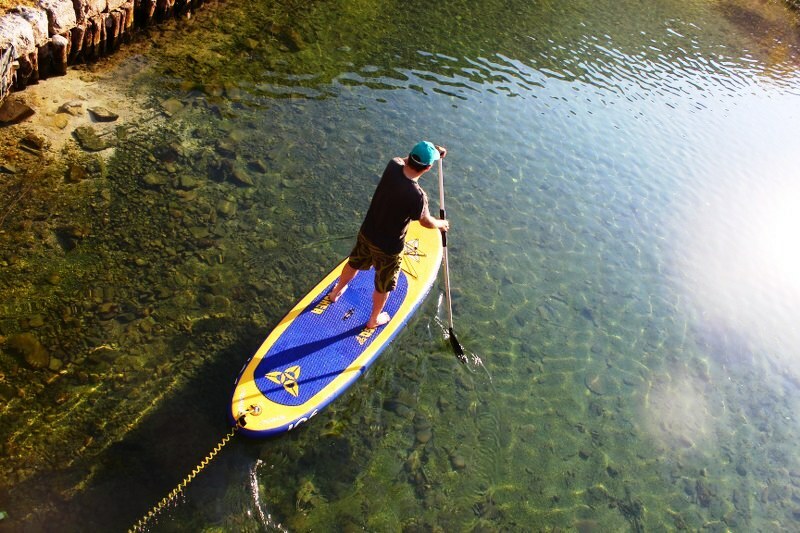 Whether it is your first time on a board, or a seasoned paddler, we can outfit you with the best equipment and take you on a SUP adventure. All the tours are led by our local, experienced and personally vetted guides. 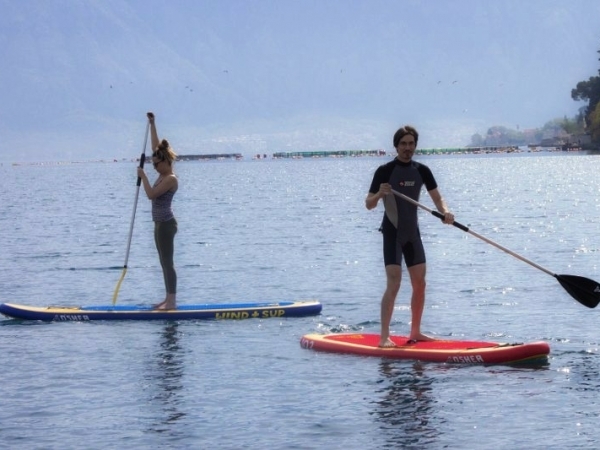 The tours will be carried out in accordance with the favorable weather conditions and at the discretion of the instructor-tour leader. 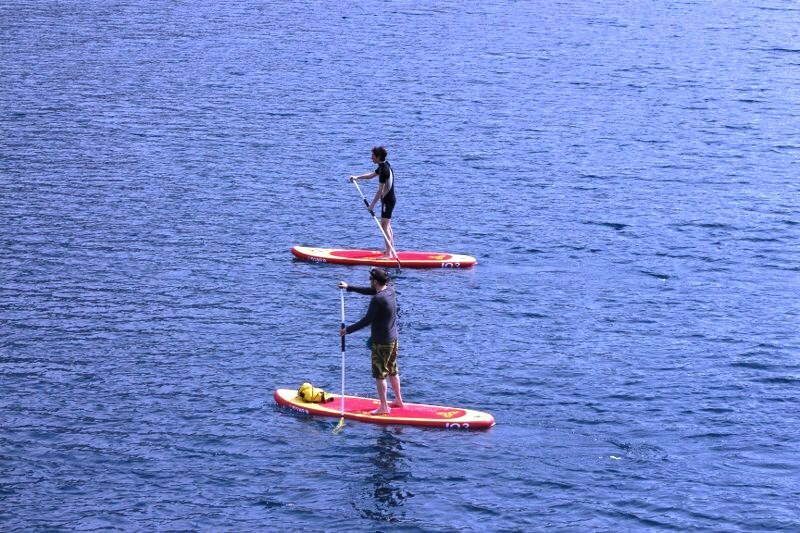 We shall take guests to a beach where the experienced instructor will show the technique on how best to stand up on the board, balance and a few tips. 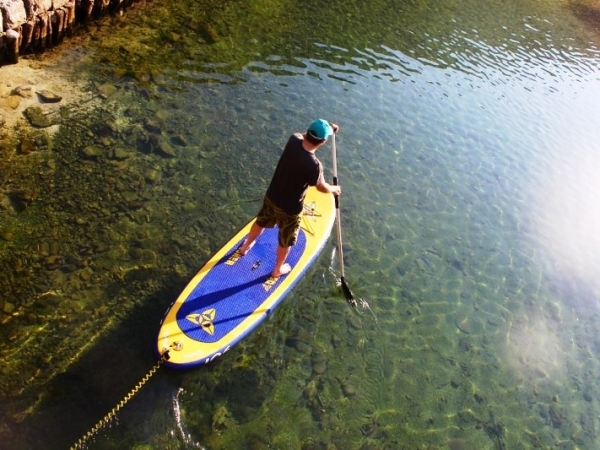 Guests should expect a few dips and dives in the water and enjoy the afternoon! 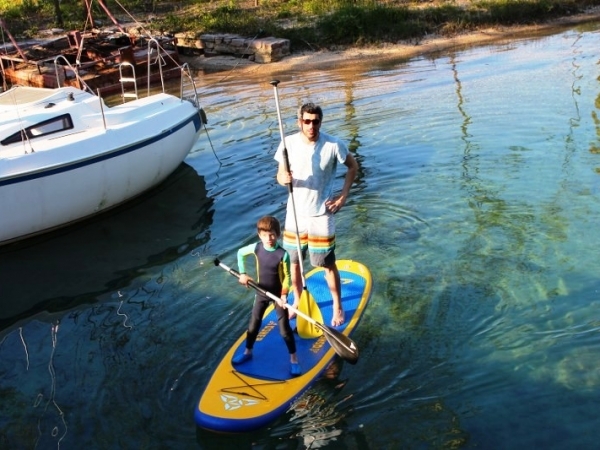 Trip to Bijela would start at local shore base at ‘Fanfani’ Beach in Djenovici at 15:00. 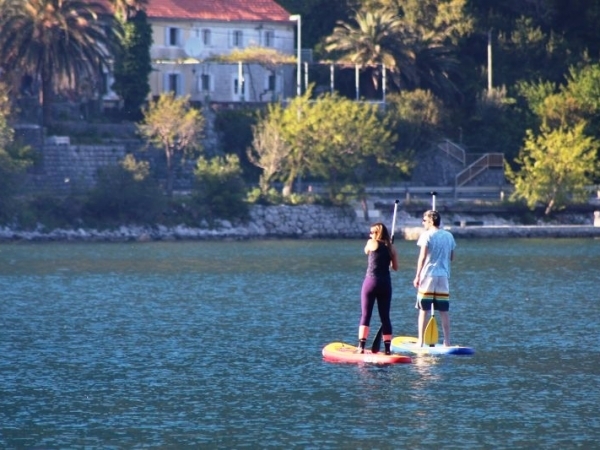 After short orientation and ability assessment we would start our journey along the coast of Djenovici, Baosici and Bijela where you will be able to swim, snorkel or just simply enjoy the view of the Riviera and its surrounding mountains ( short break for a coffee or refreshment is also possible at any point ). 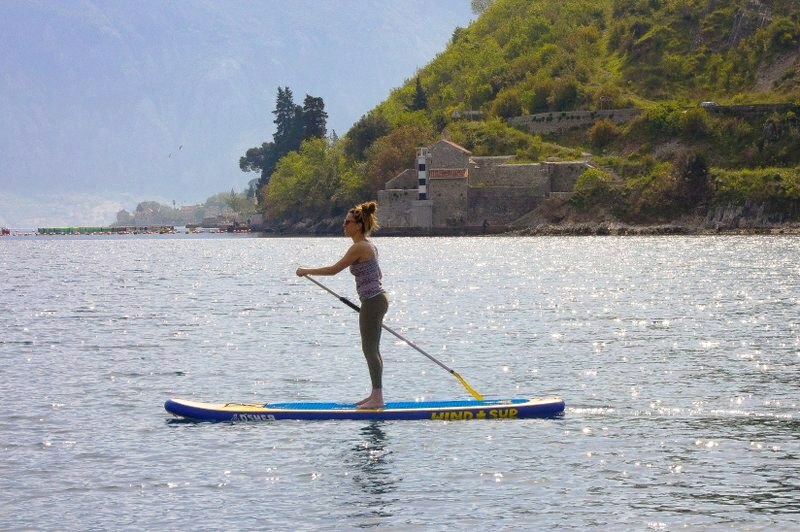 At around 16:30 we will pass by Bijela shipyard where we will stop and rest at some of our local beaches or have a lunch and drinks at some of many restaurants and bars along the coast. 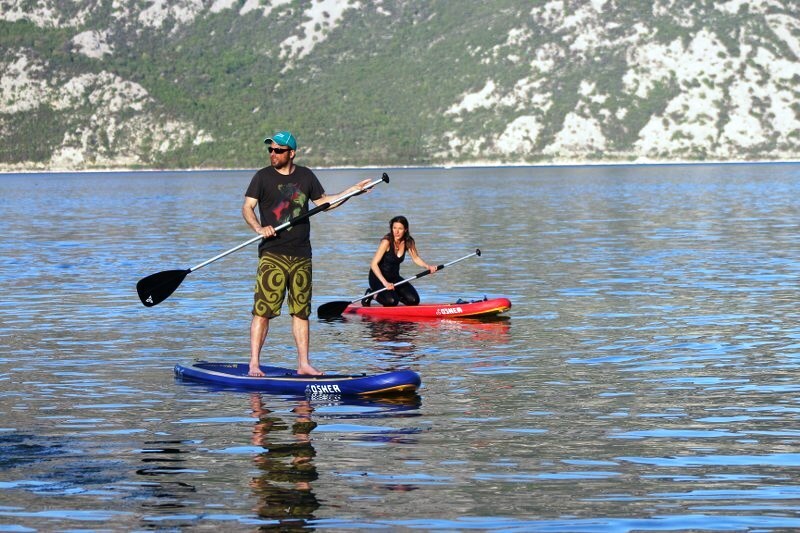 Around 18:00 it’s perfect timing to start our journey back to Djenovici. 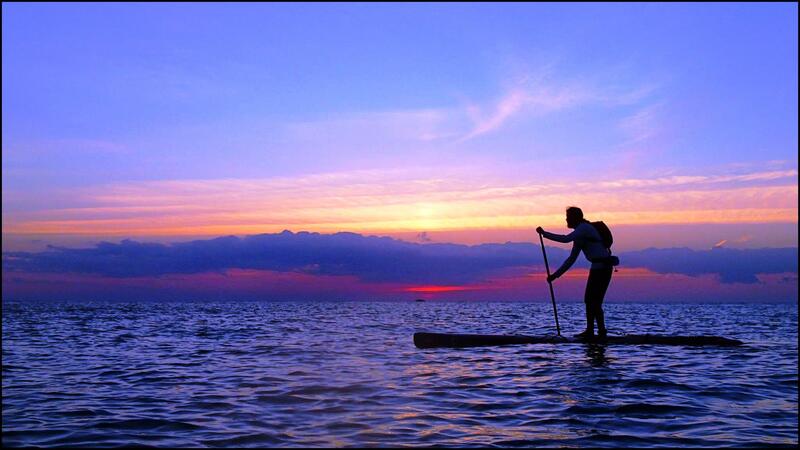 At this part of a day paddling is most relaxing due to very calm sea and beautiful sunset. 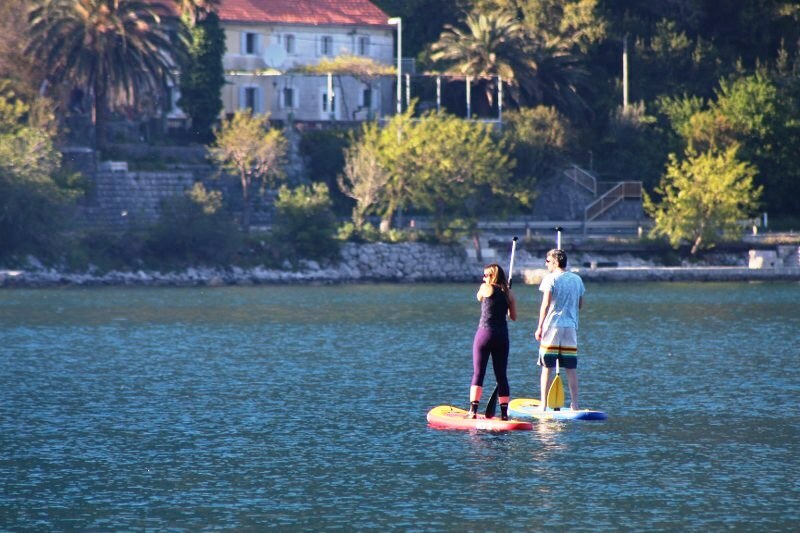 Arriving at Djenovici around 19:30. 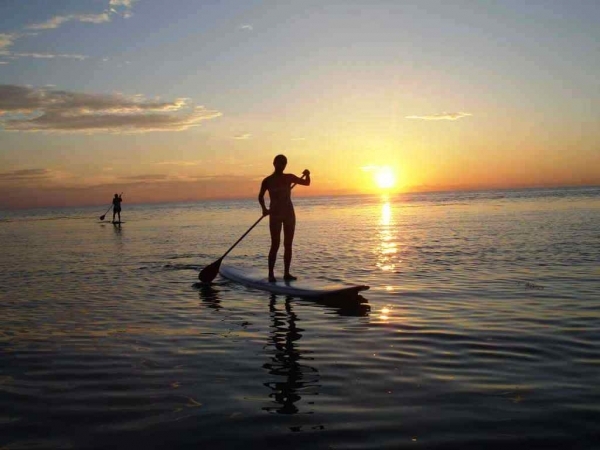 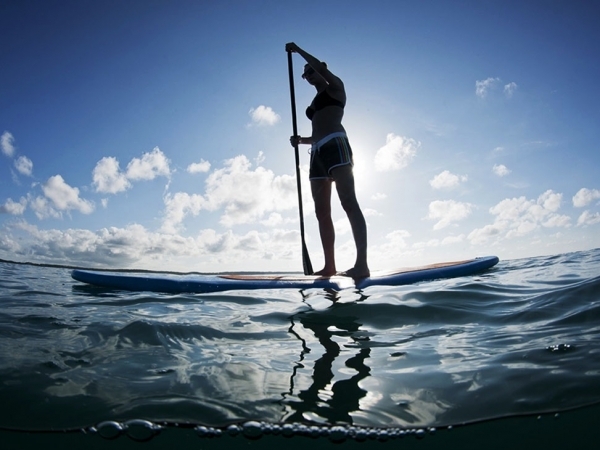 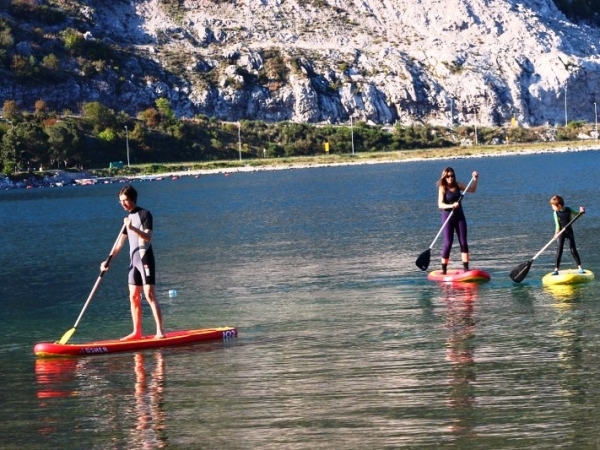 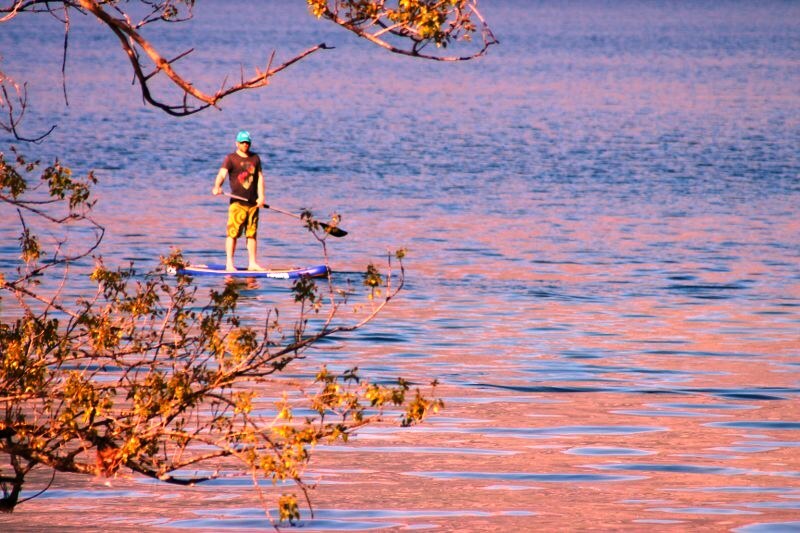 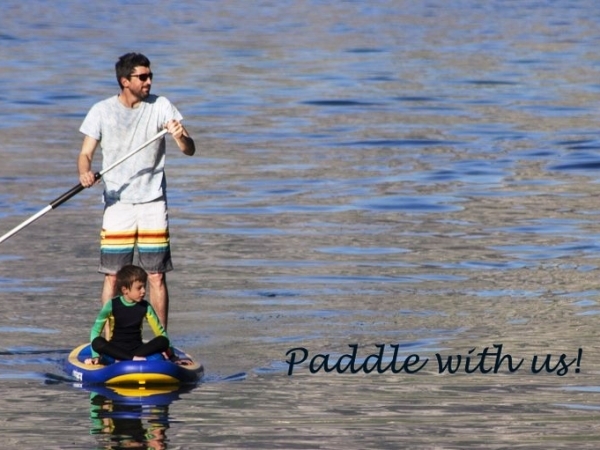 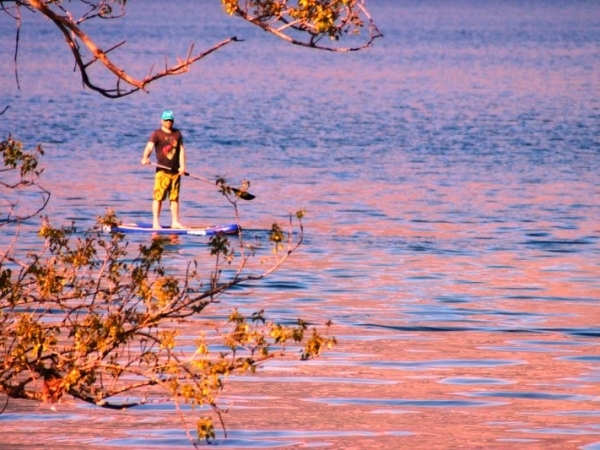 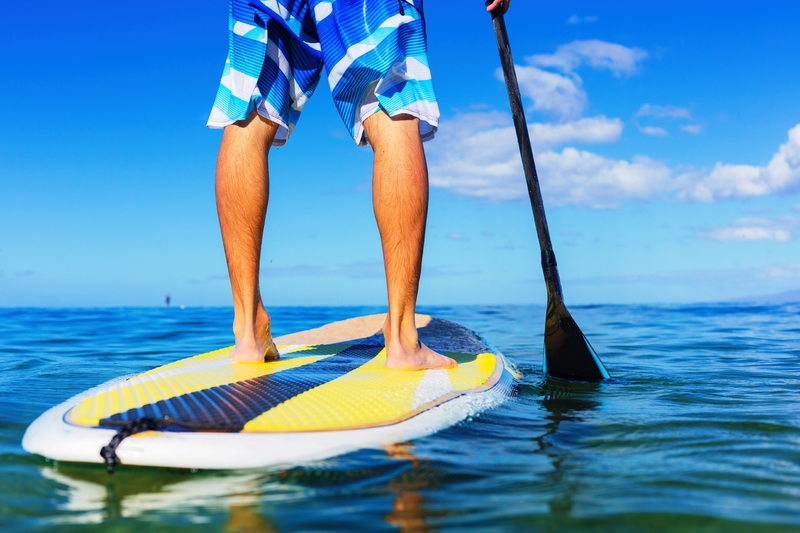 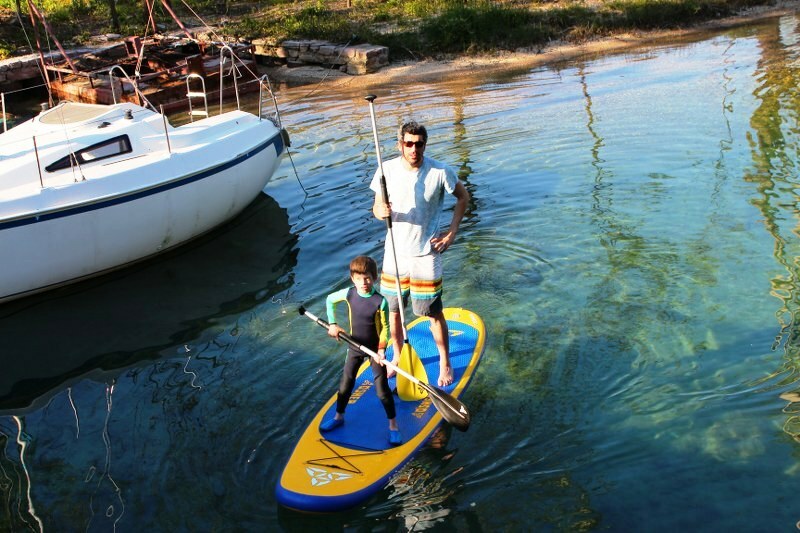 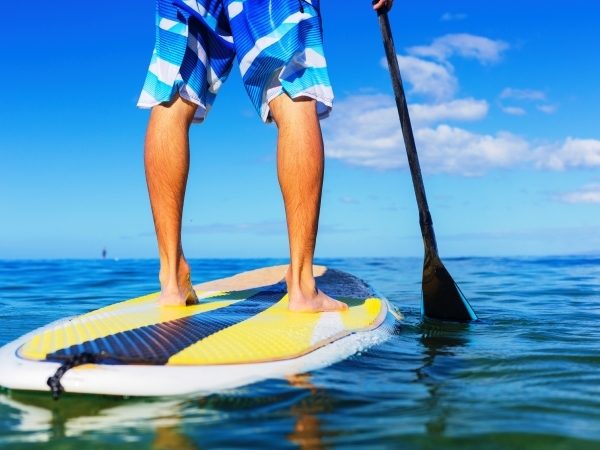 Half Day Paddle Boarding Activity is included in our ‘Surf & Turf’ Adventure package. 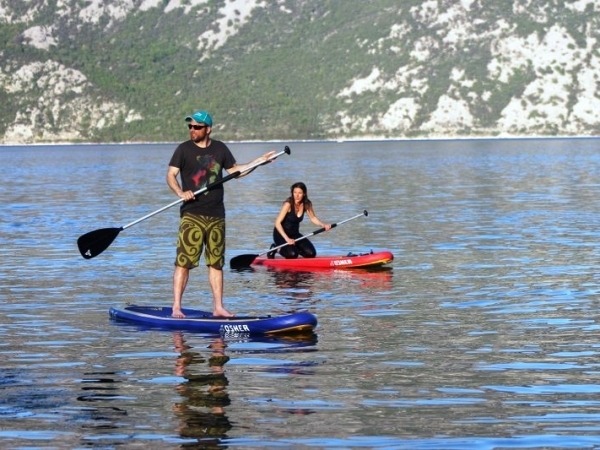 There is a full day tour for guests who would like to book this activity separately. 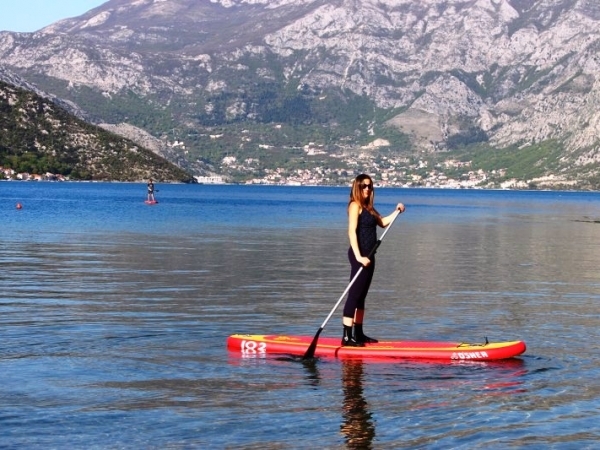 The price of this tour is €60.00 per person. 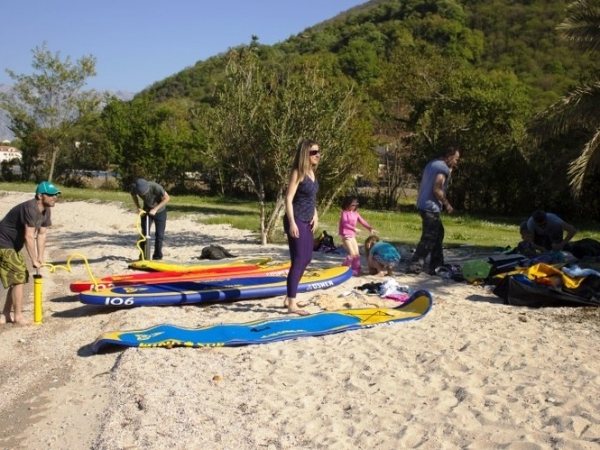 Guests are required to know how to Swim!